I love making meals over into different things. This is especially true once I became vegan; it is hard to think about meals I had enjoyed before and not salivate sometimes. Sometimes meals hold memories for us that we want to relive, or sometimes sound so good but has ingredients in it that you just can’t stand. Or you thought you wouldn’t like. 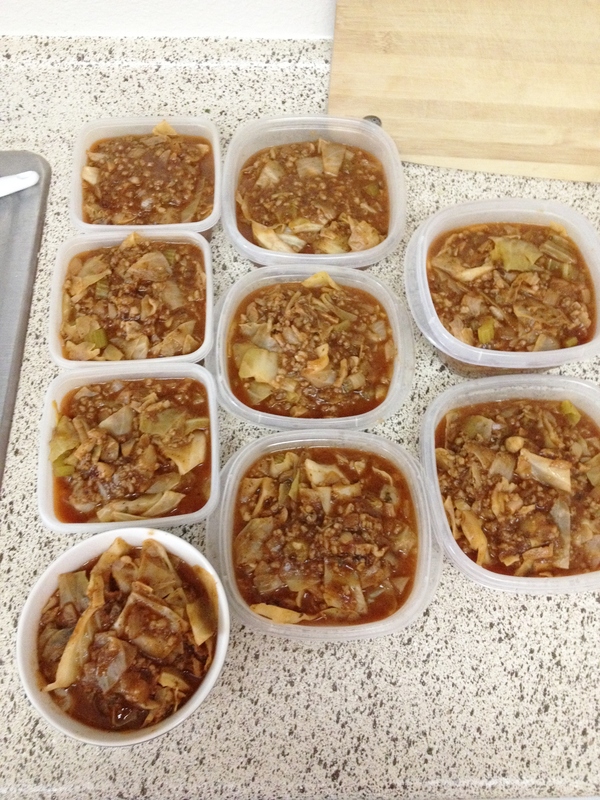 Here is my Vegan Cabbage Roll Soup. This is one of the meals that has ingredients that when I was younger I never would have touched. 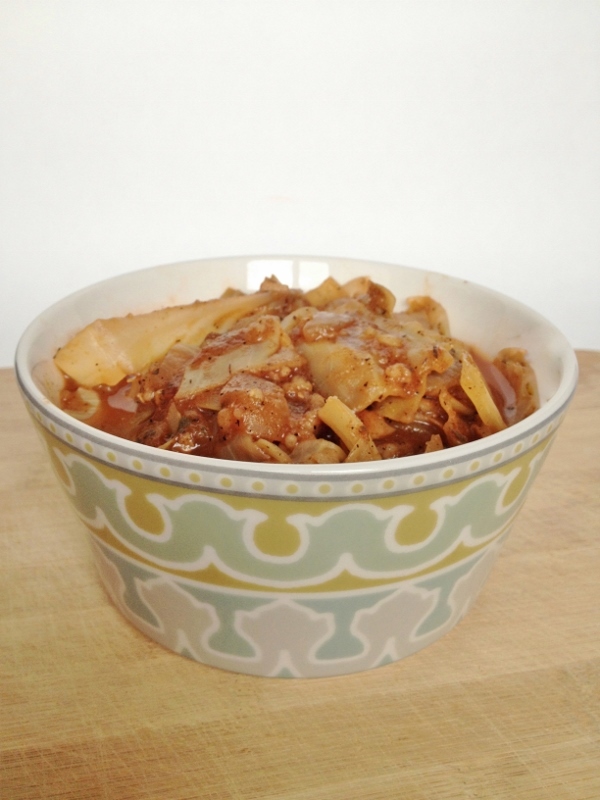 I know I have never had a cabbage roll in my life; I know this is true because prior to going vegan 14 years ago, I never would have eaten cabbage – not even to get out of being grounded for something. Now I love it, but don’t eat meat, so I decided to remake it into a soup. I have been buying cabbage a lot these last few months and wanted a new way to enjoy it, besides just boiling it or roasting it. A soup is also what I am needing for my weight loss trials and tribulations. Soups are a warm and comforting food, and with the right ingredients, can be super low-cal. And I know how to make healthy low-cal soups! This, just like most soups, is just a chop, drop and boil kind of soup. 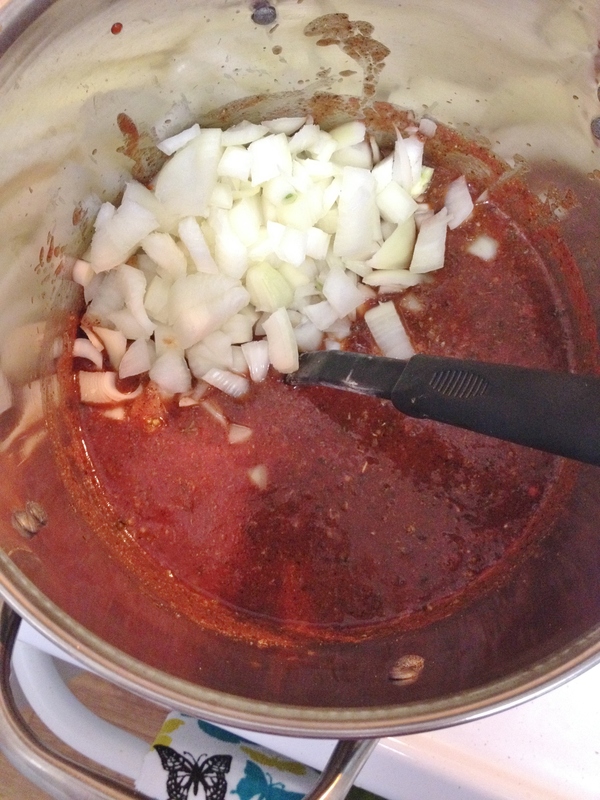 Start with the crushed tomatoes and a can of water with the spices, turning the burner to medium low heat. Then chop and add the onions, celery, and mushrooms. Add the rice and veg stock. After that start chopping the cabbage and place on top of soup and gently press into the soup with a large spoon. 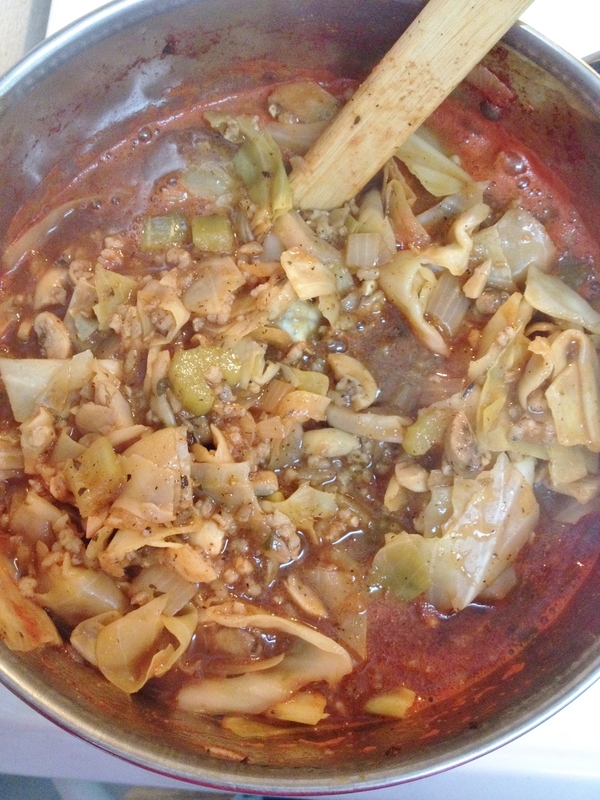 As you add the chopped cabbage, slowly press in – after all cabbage was added, I poured in one more cup of water. This soup turns out thicker, and is very filling with just a spicy bite from the pepper. Yum! 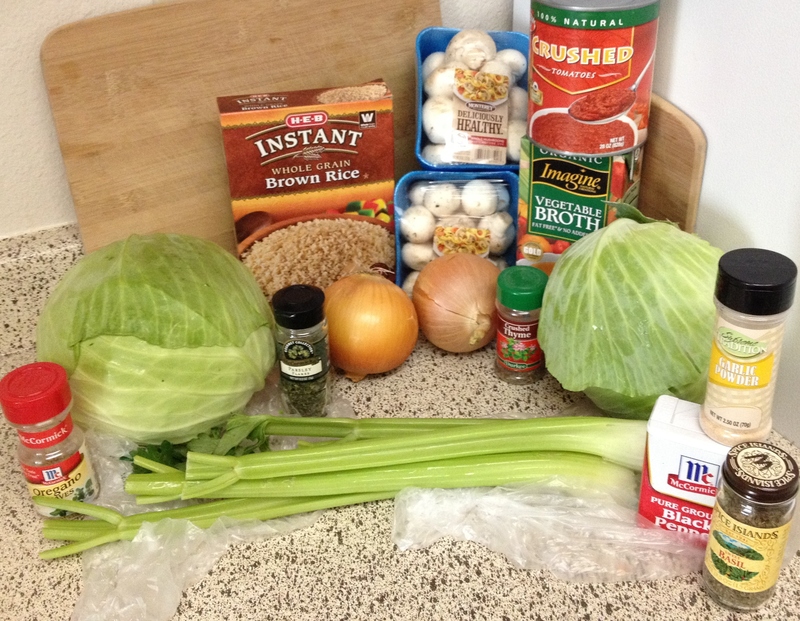 Just an FYI – below in the ingredients picture are two cabbages…well, my pot wasn’t big enough 😦 so I only used the bigger cabbage. 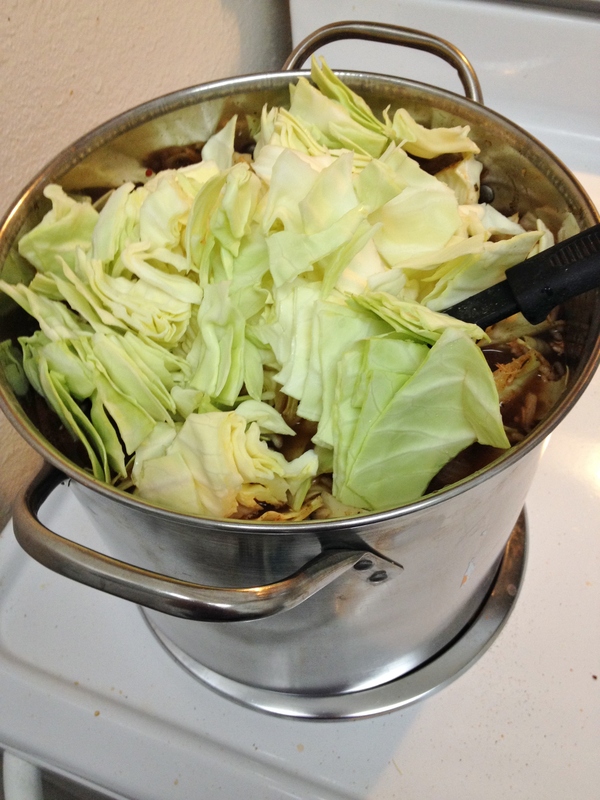 If you have a bigger pot go ahead and use two cabbages. 1. 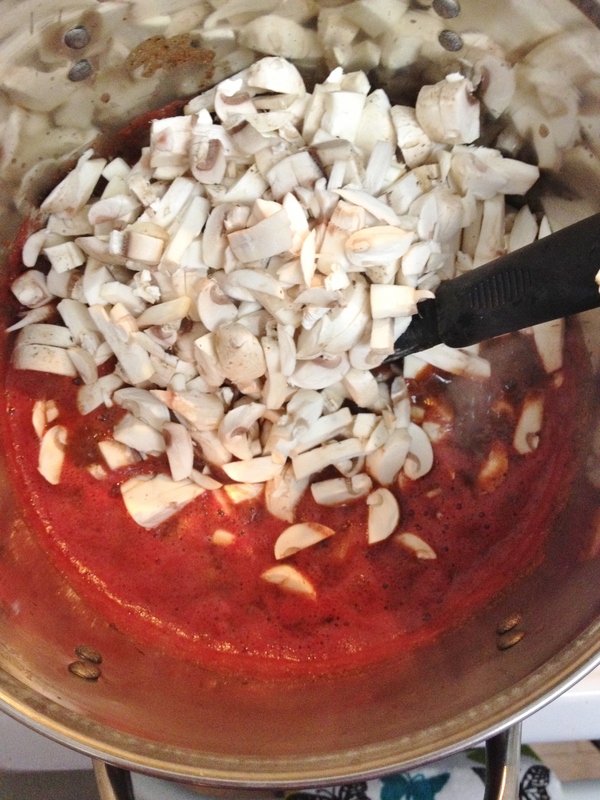 Turn the burner to medium-low heat, and add the can of crushed tomatoes to the pot. Fill can with water and pour in. 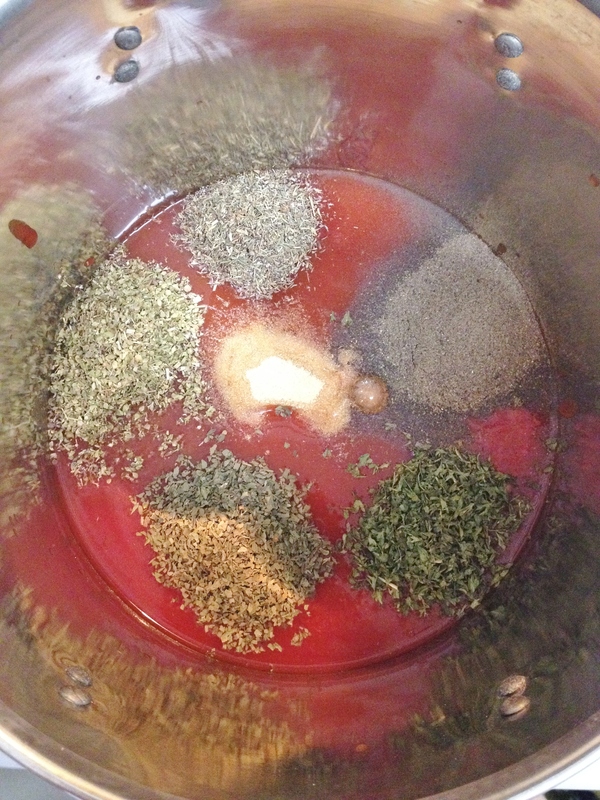 Add all spices. 2. 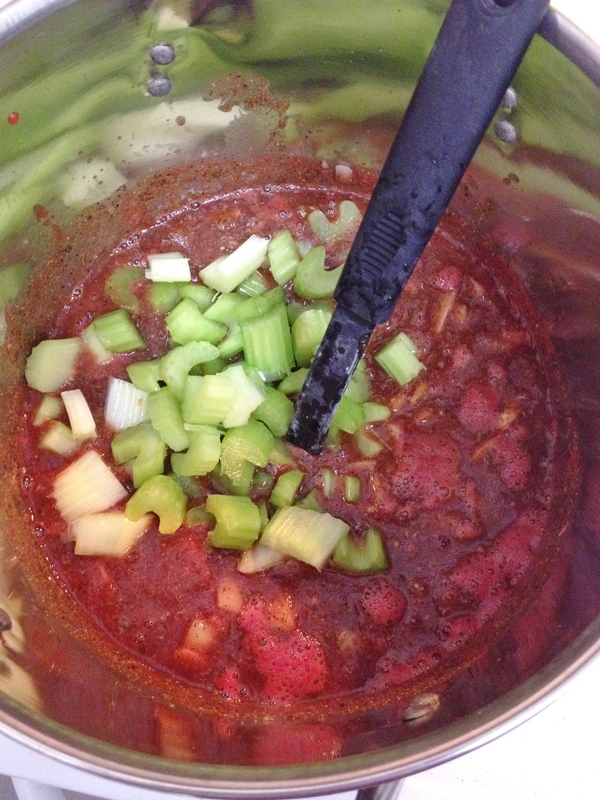 As the onions, celery, and mushrooms get chopped add to the pot. 3. Add the vegetable stock and the rice and mix well. 4. Chop large head of cabbage in half. Cut each half into quarters, then each quarter into thirds. Chop each third into small pieces. Add to pot and gently press into the soup. 5. Let soup cook on low heat for about two hours.